All Things Must Pass, George Harrison’s triple album recorded and released in 1970, was brought stunningly to life at the Kenton Theatre by the “All Things Must Pass Orchestra” on Friday night. Alex Eberhead (bandleader, guitar and vocals) and The All Things Must Pass Orchestra pays tribute to the work of George Harrison, without being a tribute band. Together, they are an ensemble who capture the subtleties, colour and power that infuse so many of George’s songs. 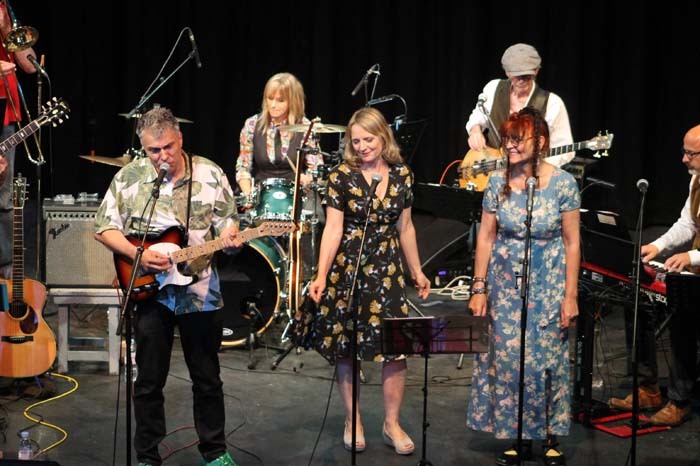 Playing in Henley for the third year running, just a stone’s throw from George’s home at Friar Park, the All Things Must Pass Orchestra brought new songs to their repertoire, playing songs that George probably only ever played in the studio. The night included “Isn’t it a Pity” and “Apple Scruffs”, a song written by George in tribute to the die hard Beatles fans who would wait in certain London locations where the band members were likely to appear. 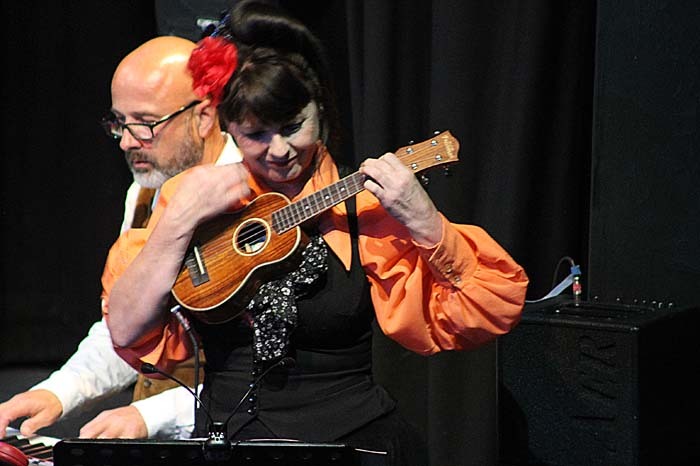 The Orchestra was joined onstage by a very special guest, Sam Brown from the International Ukulele Club of Sonning Common, who played her ukulele. The ukulele was originally a gift to her father, Joe Brown, from George Harrison himself. The mix of the band, with Sam playing her precious ukulele, was a wonderful combination and totally appreciated by the sell-out theatre audience. Living in Henley, George Harrison’s adopted home town, listening to the All Things Must Pass Orchestra playing time-honoured Beatles classics and songs from George’s solo career, it was certainly a night to warm your heart.